The most notable icon of Budapest invites you for a must-have sightseeing event. 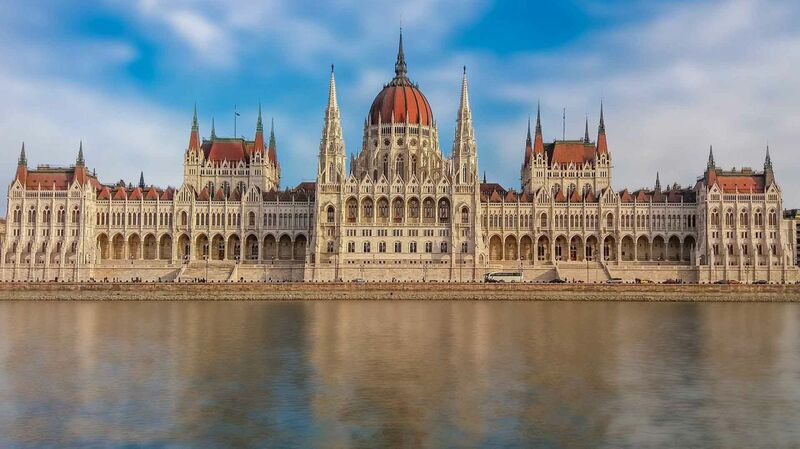 Explore the Hungarian Parliament Building during the day before embarking on a fabulous Live Music Dinner Cruise through the illuminated River Danube! The Hungarian Parliament is the third largest parliament building of the world and one of the most recognised landmarks of Hungary. Tours are available throughout the day from 10AM and you may select any tour from the options just make sure to be able to make it to the Dinner Cruise meeting time! A guide will take you around the gigantic halls of the House of Parliament while sharing the secrets of its past. You will even have a chance to explore the hall of the National Assembly and to lay your eyes on the holiest relics of Hungarian history, the Holy Crown and the crowning jewels. During the evening experience the city in a whole new light on a dazzling 2 hour dinner cruise with live music under 6 bridges of the Danube. Make your way to the meeting point at Danube Palace by 18:30 and enjoy your scenic sail through the artery of Budapest. Following booking you will receive a booking confirmation PDF from Hungaria Koncert via email (in Hungarian language). As a complimentary bonus to your ticket, you will receive free passes to two additional historic Danube ships as well with their own stunning exhibitions inside. Board a 100-year old steamboat, the Kossuth Museum ship (Budapest, Vigadó dock 2, 1052) and the Gróf Széchenyi Museum Ship (built 1939) (Id. Antall József rkp. 18, Budapest, 1052 ). Have an unforgettable day in Budapest! This PDF will be your ticket to the Parliament, make sure to bring a PRINTED COPY of it with you. If there is no more place for your requested appointment (as the places are limited for visiting), we offer you the closest time. If it is not suitable for you and we do not recieve any feedback from you within 24h before the tour we are not able to refund your money. You may enter the building following a security check. Larger bags, packages and objects capable of causing injury are strictly prohibited. You can order a pick-up for every package, which includes the transfer from the hotel to the Parliament for 12€. Please note, there is no drop off available for either package! The program can not be rescheduled, if the guest can not attend or misses the starting time, we can not issue a refund! This also applies for the pick-up option. H - 1055 Budapest, Kossuth Lajos tér 1-3.